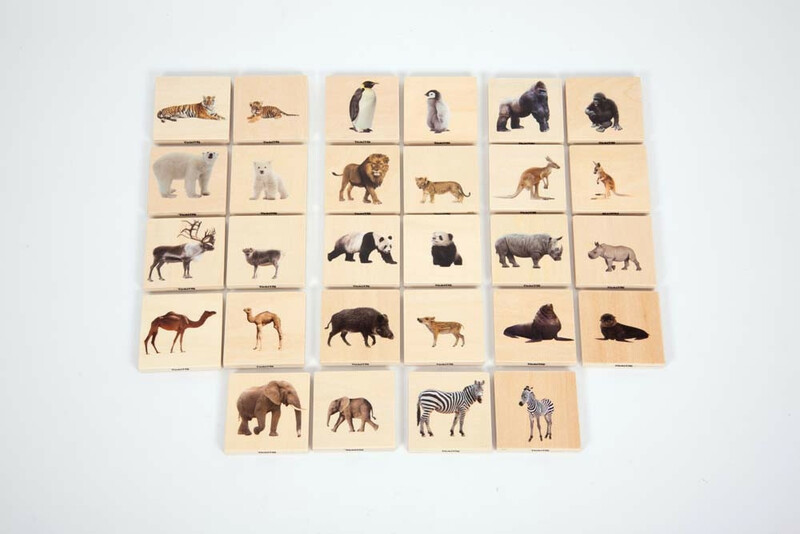 14 pairs of smooth and tactile beech plywood square tiles, each colour printed on one side with clear detailed photographic images of real wild animal adults and their young. The chunky tiles are easy for small hands to grip, rotate and turn over. 1. 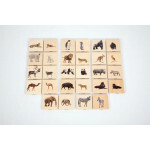 As a matching game - turn all the tiles face up and match the adult animal with its corresponding infant. 2. 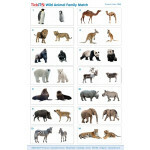 As a memory game - turn all the tiles face down and try to remember where the matching animal family pairs are located. 3. For sorting into groups - e.g. 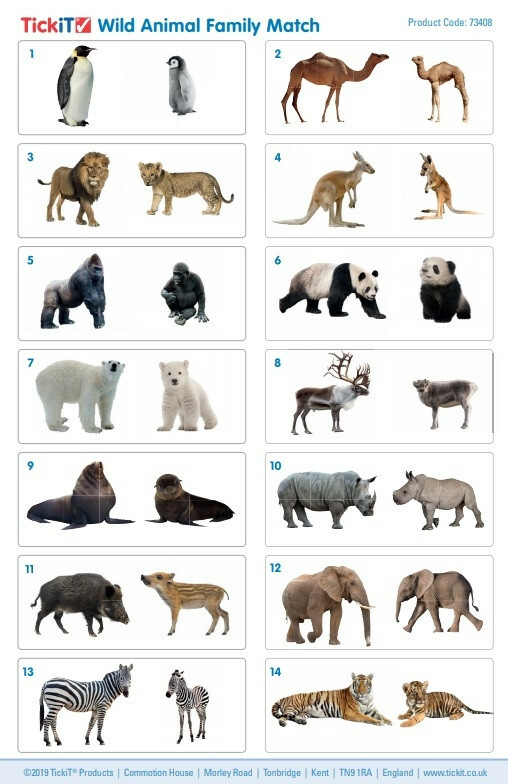 by habitat, continent, skin type (skin, fur, hair or feathers), or ordered by size. Ideal for promoting discussions about how and where animals live, what they eat, which are - or have - predators, what dangers the animlas face from each other, the environment or from humankind, and the differences between the adults and their young. Children will enjoy playing whilst developing several aspects of learning, including descriptive language, mathematical language, collaborative play, fine motor skills, imaginative play and understanding the wider world around them. Includes colour identification guide in 7 languages - click here to view. Size: 70 x 70 x 10mm. Pk28.